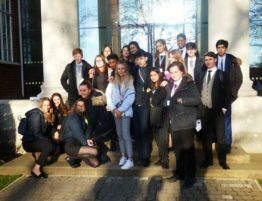 Royal Russell students had a very successful day at the Croydon High MUN conference on Saturday 18th November. 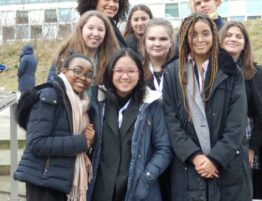 Three of our students were asked to guest chair committees at the conference and Pippa, Meera and Ella all did a great job chairing with their usual calm assurance and excellent knowledge of procedure. 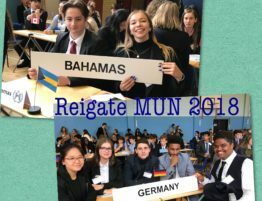 We took three delegations to the conference representing China, Barbados and Belgium. 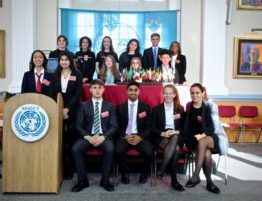 For most of our delegates this was their first or second conference and they did well, making their policy statements and speaking during debate. 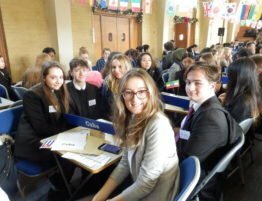 The most impressive of the first time delegates was Mitchell who won a Highly Commended delegate award representing China. 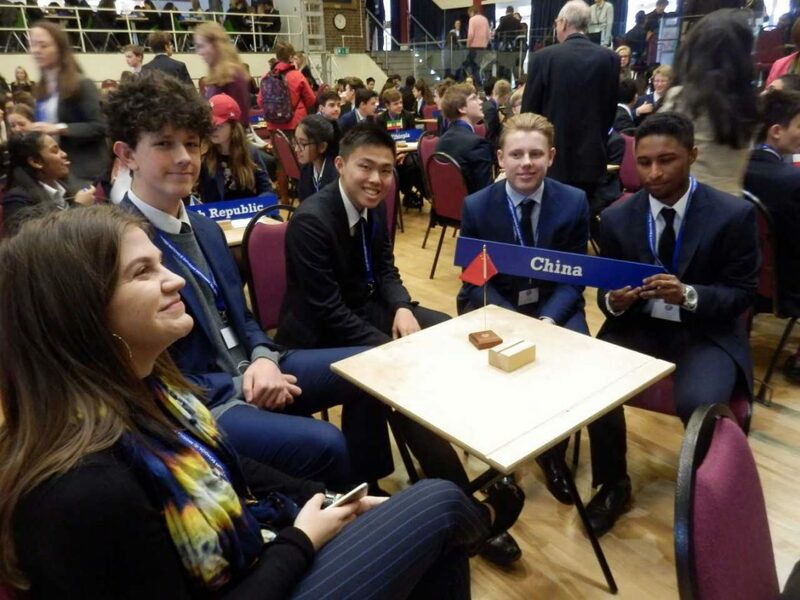 Also doing well as part of the China delegation were Krish (who also won a Highly Commended delegate award), and Stevie and Ben who were both name checked in the closing ceremony for their excellent contributions in debate. 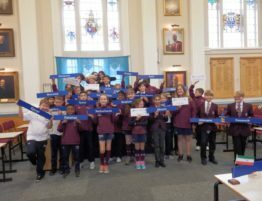 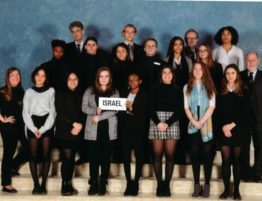 There were seventy delegations from more than thirty schools at the conference so Royal Russell did really well to win one of only four delegation awards, with China being named one of the Highly Commended Delegations.